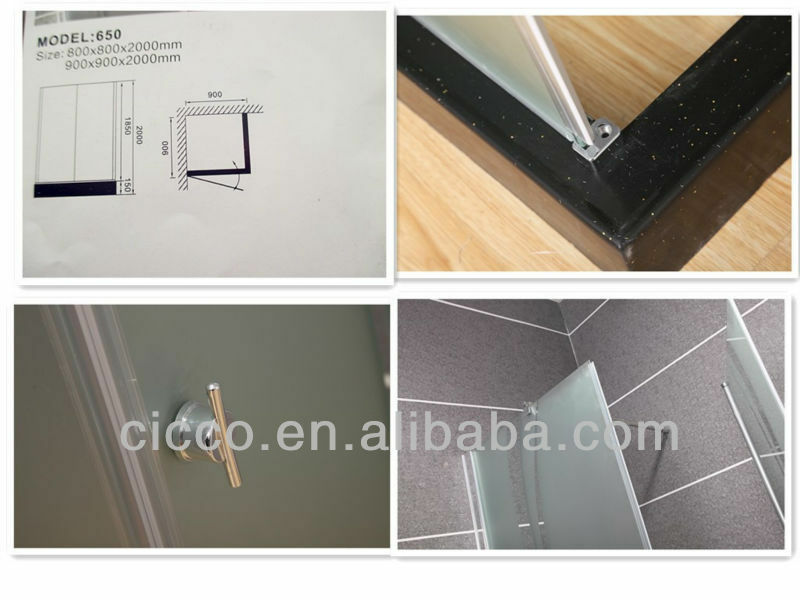 Welcome visit our website and wholesale quality enclosed roulette sliding shower door at competitive price from our company. Business type: Manufacturer and Trading company. 1. Each component is wrapped with transparent film which can protect the alu from being scratched, and then in pearl cotton. 2. Each glass component is packed with woven bag which is much safer for long time shipping. 1. High strength and good safety. 2. Good aging-resistance keeping transparent for long period . 4. Bathtub with no permanent corrosion or deformation. 5. The cutting plane without exist stratification or cutting burr. 6. The drain horse with no leakage. 7. The surface of bathtub is smooth with uniform colour,bottom shelf is strong and solid. Inner packing: Air bubble film and plastic bag. 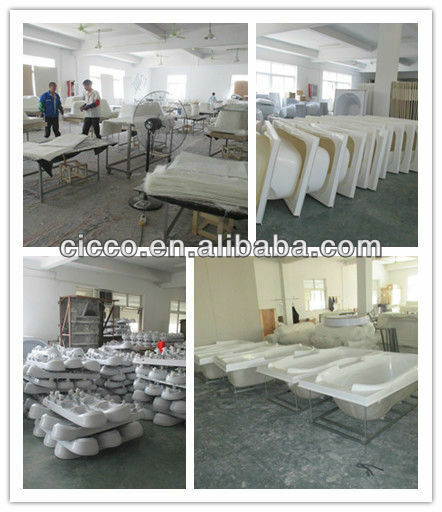 Pinghu Cicco Sanitary Ware Co., Ltd. is a professional manufacturer of bathroom products, such as shower enclosures, shower cabins, massage bathtubs and so on. 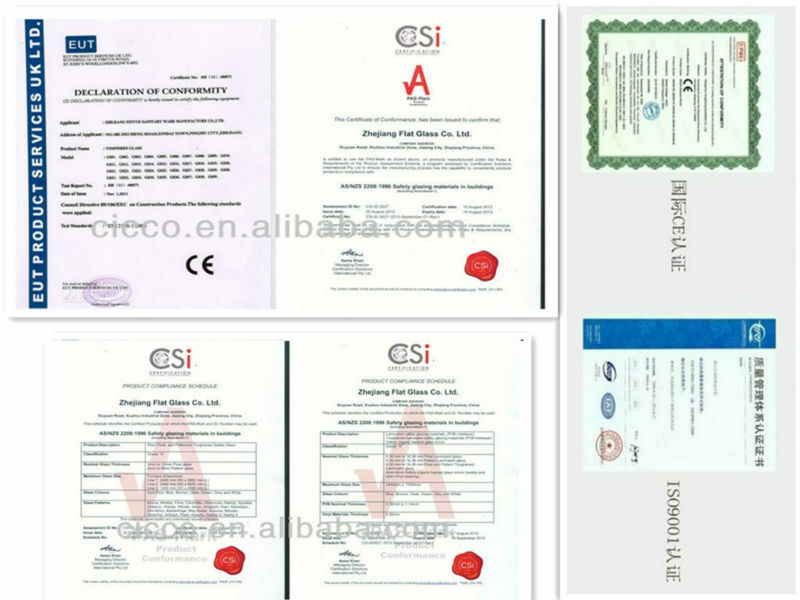 Our factory has our own workshops for aluminum and ABS, and our products have CE and RoHS certifications. We have 3 workshops covering an area of over 5,000 square meters with more than 10 production lines. We can produce 100 sets of shower cabins, 500 sets of shower enclosures, 20 sets of massage bathtubs and bathroom cabinets every day. Why we choose to install a shower room? 1.It can mark off a standalone bath space.Most toilet and bathroom are together in our house,it is a reasonable choice to install a shower room,which can make a standalone bath space,avoid to affect each and be convenient for daily life. 2.Save the space.The toilet in some houses are too small to install bathtub.It can save a lot of space to make a shower room. 3.If we have the shower room,when we use the shower nozzle,the water will not splash outside to make the whole toilet wet. 4.In winter,it can keep warm to use the shower room.Water vapor get together in narrow space,the heat can’t go so far as to loss quickly,which can make you feel warm.And if the toilet is large but have no shower room,even if you have warm air condition,you will feel cold. 5.The shower room have abundant style and colorful appearance,except the function of having a bath,it itself is a very nice decoration.